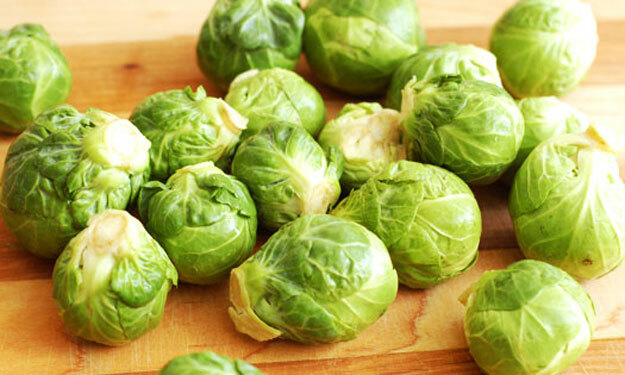 Not that Brussels Sprouts is a commodity that garners much inspection attention, you still should always look for various defects that may affect them. Future posts will include some of the more common defects, such as yellow and discolored leaves, insect damage and decay. If you pull out the U. S. Grade Standards for Brussels Sprouts I guess you could jokingly say the USDA got it right about 60 years ago. Amazing as this may sound, the current U.S. Grade Standard was created in 1954. Maybe now that the fresh market for brussels sprouts is expanding, cutting into the frozen market, the USDA may find some time to update the standard. As you receive some brussels sprouts there are some basic inspection procedures you must follow. When you spread them out, to inspect, a few questions may come to mind. The tolerances are based on a weight basis, how do I weigh them? How many do I weigh for a sample? But if you look further into the same standard it states; “§51.2254 Basis for calculating percentages. Percentages shall be calculated on the basis of weight or an equivalent basis.” The key words being, “Equivalent Basis”……which leads to the next question, what does that mean? You won’t find the answer in the grade standard. But, if you happen to be one of the few that have access to the USDA’s Inspection Instruction Handbook for Brussels Sprouts, you will have the answer to your question……sort of. The USDA’s instructions are a bit confusing. In one paragraph the USDA instructs their inspectors to weigh out their sample, with 48-50 ounces being a sufficient sample. 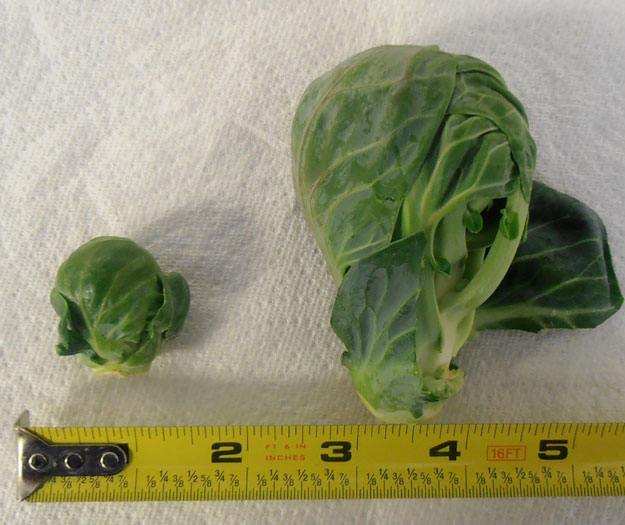 In the very next paragraph the USDA instructs their inspectors to count out their sample, with 100 sprouts being an adequate sample size, as long as the sprouts are fairly uniform in size. Are these sprouts fairly uniform in size? The USDA tells us that the definition of fairly uniform is if the smallest sprout and the largest sprout in your sample do not vary by more than 3/8 inch in diameter. If they are outside this range, as shown above, base the inspection on weight. If they are indeed fairly uniform in size then it is permissible to base your inspection on count. So how does this play out in the real world? Do inspectors really measure the sprouts to see if they are within this 3/8 range? Of course not. Just think how confusing it would be if the sprouts in the first sample were fairly uniform, so you base the inspection on count, but the second inspection had sprouts not being fairly uniform, thus inspecting the second sample on a weight basis, and the third was fairly uniform again, so you are back to counting out your sample, etc. Experienced inspectors will immediately count out 100 sprouts and base their inspection on count, for every sample, never pulling their scale (or tape measure) out of their inspection equipment bag. They have seen how ridiculous this procedure is. This post is filed under Inspection Procedures.